Western Iran has witnessed some of civilisation's greatest empires. Echoes of this past are scattered across the Kermanshah region, from Elamite ziggurats to Achaemenian water mills, and Sassanian carvings to Greek statues and Jewish tombs. It's a thrilling destination for anyone interested in ancient history. By straying off the usual tourist trail into this more remote part of the country also means that, even at the Unesco World Heritage Sites, other visitors are few and far between. The world-famous bas-relief carvings at Bisotun, carved high up on a cliff face, are especially evocative when we contemplate they have been proclaiming Darius' greatness for 2,500 years. The inscriptions surrounding the carved figures are in three 'lost' languages – Elamite, Akkadian and Old Persian – and are known as the Rosetta Stone for Persian scholars as they allowed for the deciphering of the cuneiform scripts in the 1800s. Also at Bisotun is an incredibly charming statue of the Greek hero, Hercules, carved from the rock in 148BC. His private parts went missing during the early days of the Islamic Revolution, and his head is a model after the real one was twice stolen and recovered, but he remains unperturbed, reclining majestically on his lion pelt. The ancient hydraulic water system at Shushtar, another Unesco World Heritage Site, is a surprisingly mesmerising place to visit, especially just before sunset when the softened light gives a warm glow to the surrounding cliffs. The huge and impressive manmade water system controlled the entire water supply for the Khuzestan plains for centuries. While the archaeological wonders of Susa justifiably get all the glory, the tomb of Daniel, the Old Testament prophet, has its own perplexing charm. 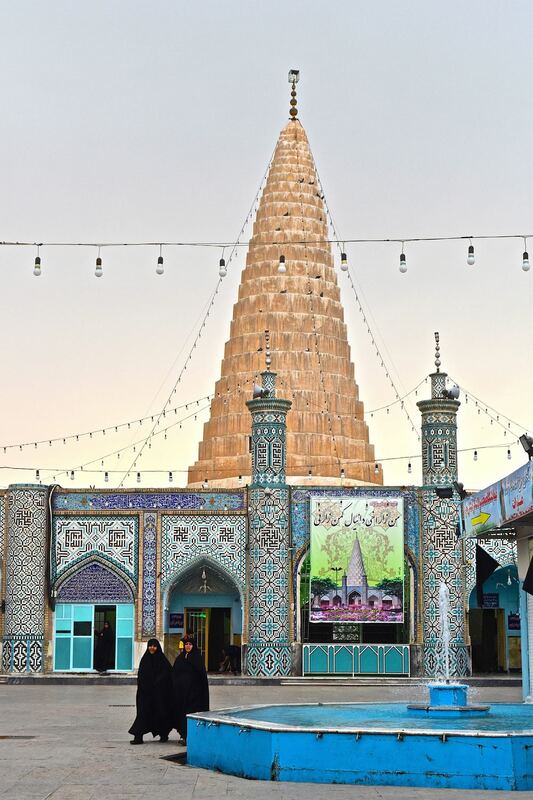 A Jewish pilgrimage site for centuries, Muslim pilgrims also pay their respects to Daniel, despite this semi-mythical figure having only tangential relevance to Islam. Daniel supposedly served as a faithful administrator to Darius I, who locked him in the lion's den. Susa, one of the greatest cities of Persia, was an important Elamite city from the 3rd millennium BC. The Achaemenians made the city their winter capital in 521BC, when it probably rivalled Persepolis in grandeur. Only ground-level outlines of the Palace of Darius, other Achaemenian buildings, and the foundations of an Elamite city unearthed next door, remain, but give an idea of the scale and glory of this Unesco Word Heritage Site. Don't skip the small but impressive Shush Museum as it brings to life the remarkable history of the region through its collection of exhibits ranging from a 6000-year-old model of a boat to jewellery, figurines of gods and goddesses, painted tiles, and even spooky baked clay masks believed to have been used in funerary rites. A Unesco World Heritage Site, this wonderful ziggurat is the best preserved example of Elamite architecture anywhere. It was builtin the 13th Century BC, and was "lost" for more than 3,000 years until it was rediscovered in 1935. Look out for the layer of bricks imprinted with the world's first alphabet, cuneiform, and the child's footprint preserved in the floor for three millennia. 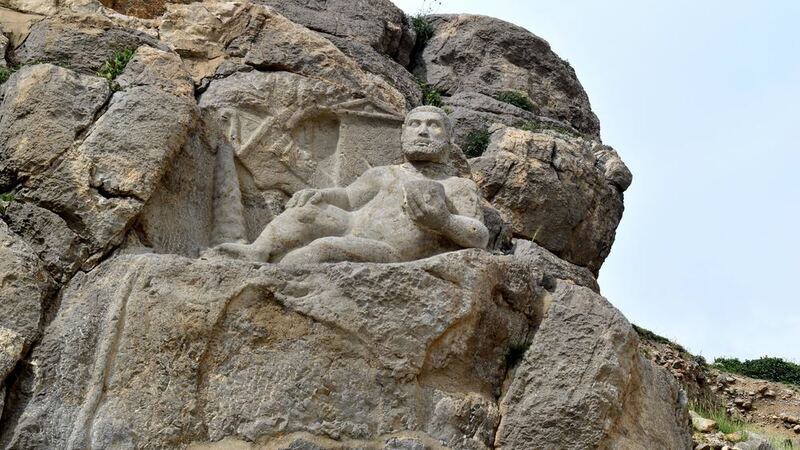 Close to Kermanshah city, the Sassanian carvings at Taq-e Bostan are also unmissable. A very pleasant site, ducks and geese paddle about on ponds and float past the scenes carved into alcoves in the cliff face. The reliefs depict scenes from the 4th to 7th centuries AD, including royal hunting parties, armour-clad kings, and battle victories.